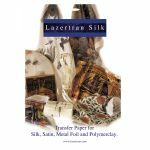 Lazertran Silk 10 x 17"x11"
For use with laser printers to transfer onto Polymer Clay or Silk and Satin. 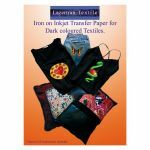 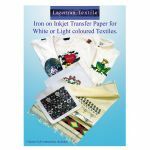 Lazertran Silk 10 x 8.5"x11"
Iron on inkjet transfer paper suitable for light coloured cloth. 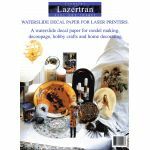 Not for use with laser printers. 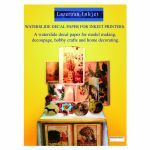 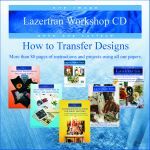 Projects on how to use all Lazertran transfer papers on different surfaces.